Second-year player Dwayne Bacon got the start over Nic Batum, who earns $24 million per season. Bridges continued to start while rookie Devonte Graham and second-year pro Malik Monk also saw extended action, as did young centre Willy Hernangomez. Towns came in averaging 30.1 points, 12.0 rebounds and 3.6 assists this month after averaging 30.9 points, 13.8 rebounds and 4.1 assists in February. 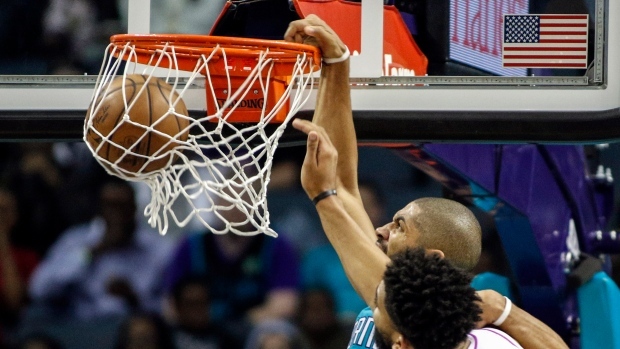 But the Hornets were determined not to let him beat them, swarming with the 7-foot, two-time All-Star centre with multiple players almost every time he got the ball in the second half. Monk was finally a factor again for the Hornets, scoring 14 points on 4-of-7 shooting from beyond the 3-point arc. This season has been a struggle for shooting guard from Kentucky who has seen his playing time reduced because of his defence.